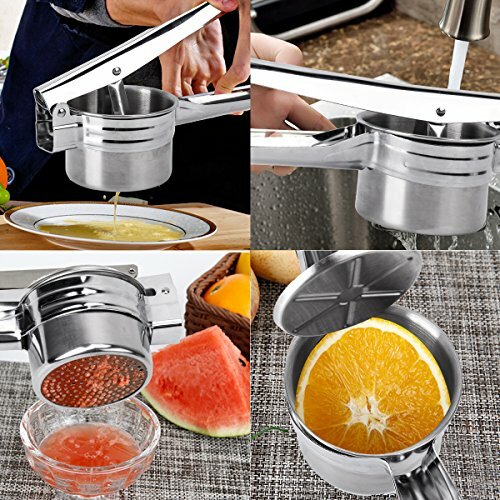 View More In Fruit & Vegetable Tools - Page 4. Do you love mashed potato? 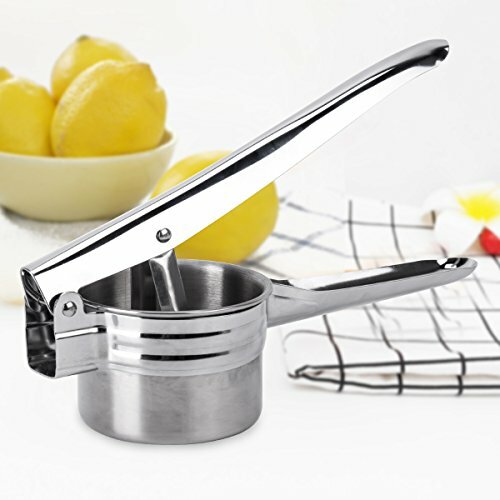 But are you frustrated at how much time and how tiring it is to use a conventional potato masher? Are your mashed potatoes still have lumps and pieces of potato? Would you like to effortlessly mash different vegetables, such as potatoes, carrots and turnips together? Looking for a quick and easy way to prepare your baby food? 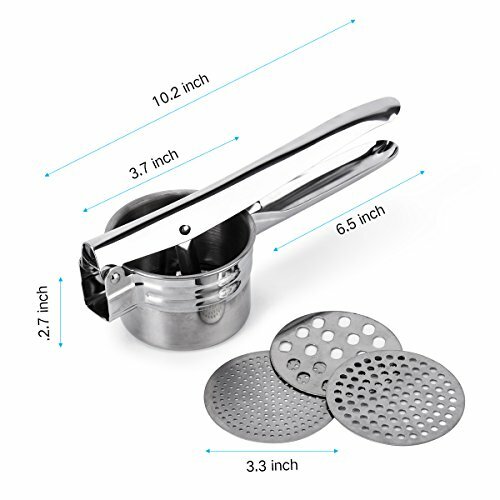 Our 3 Disk Premium Potato Ricer is designed so you can quickly and easily prepare restaurant quality food in seconds! 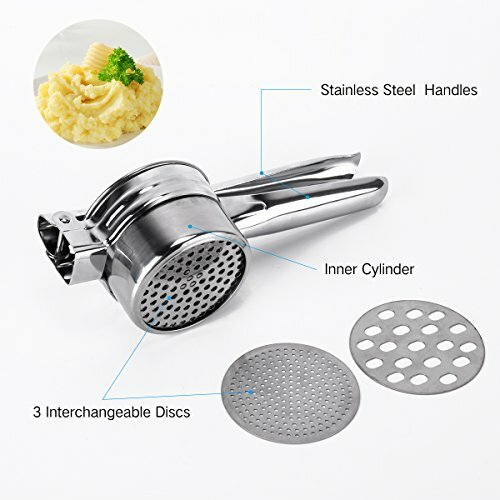 You will find the our Potato Ricer easy to use and the results you'll get will be simply amazing. Easy to clean. Simply rinse under running water after use. Impress your friends with the restaurant quality food you will be able to prepare in seconds! So, at this price, why think twice? SUPER-SIMPLE TO USE. Instead of trying to whip, smash, chop and blend your potatoes to get that creamy mash, simply squeeze the potato into a savory side. Fluffy, silky, heavenly spuds right at your fingertips. Even your mother-in-law will be impressed! NO PAIN NO STRAIN. 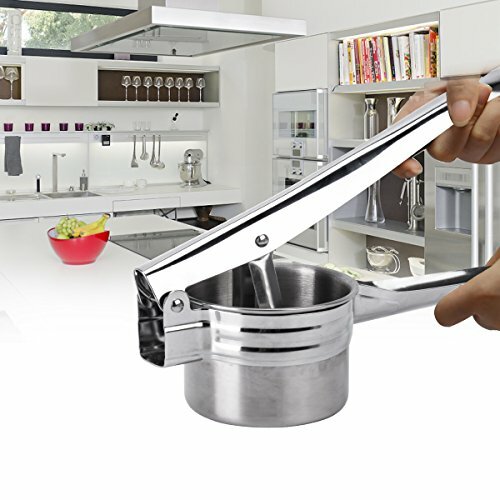 Your arms will not get sore or tired with our ergonomic, precision balanced handles. Long enough to provide easy leverage. The design also allows you to sit the ricer on top of your pan or bowl during use. MULTI-FUNCTIONAL. With 3 interchangable disc's, your options are endless. Puree fruits and vegetables like cauliflower, carrots, and squash into healthy dishes. Prepare your own organic baby food. De-water all of you greens and hash browns. 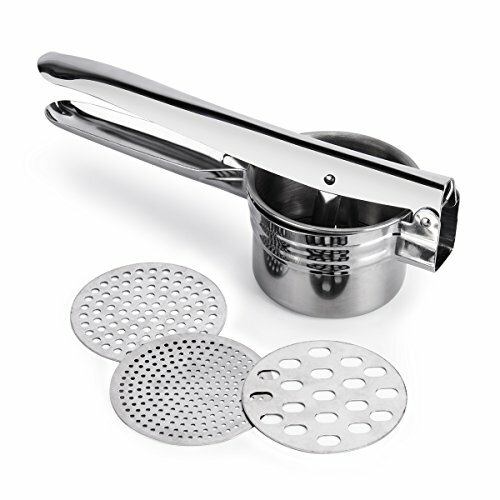 Use as a gnocchi maker and spaetzle press. EASY TO CLEAN. 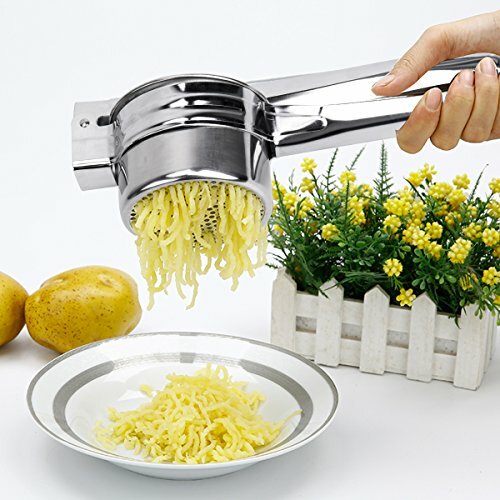 This Potato Ricer design enables easy cleaning by hand and also clean the ricer in the dishwasher,you can include this kitchen gadget with all other utensils on top rack and let the machine, it is made of non-stick steel material that slides off food residue even with just running water alone. THE BEST QUALITY IS PURCHASED ONLY ONCE. Top quality lasts longer. Easy to use and easier to clean. If you are not 100% Satisfied with your purchase for any reason, just let us know. We will resolve the issue to your satisfaction GUARANTEED. If you have any questions about this product by BeautyKitchen, contact us by completing and submitting the form below. If you are looking for a specif part number, please include it with your message.